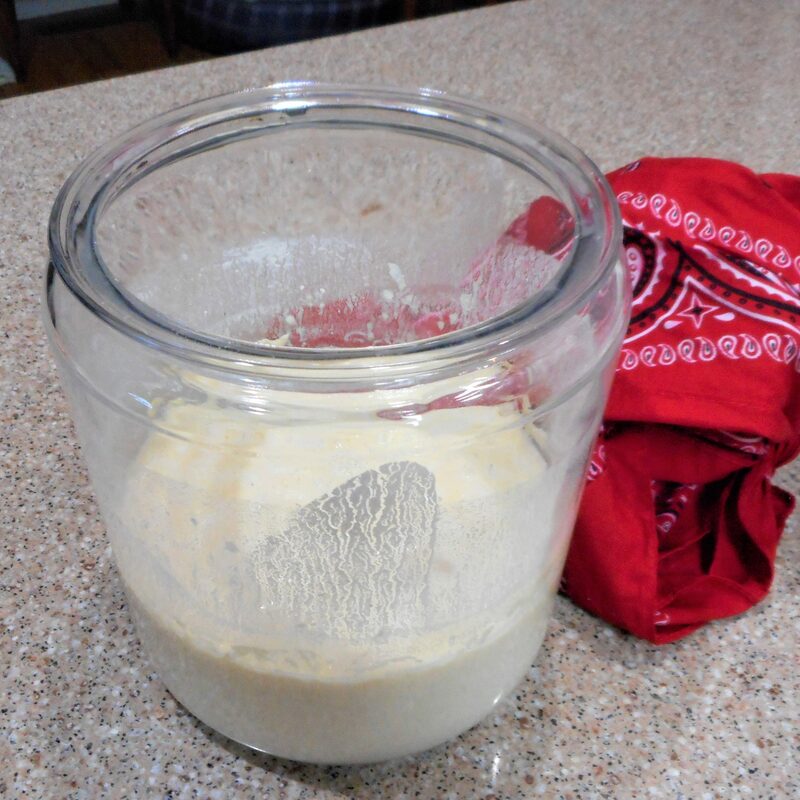 This sour dough starter needs no baby sitting. It’s good for about 5 days, even if you don’t give it any attention, and is easily refreshed after each use. After 5 days you will need to throw it out and start over. It is necessary to use a glass or ceramic crock for this recipe. A metal vessel will kill the starter. The original recipe came from Cowboy Kent Rollins on You Tube. 1. In a large glass crock or jar, whisk together the water, yeast, and sugar. Let stand a few minutes for the yeast to dissolve. Stir in the flour until smooth and free of lumps, then drop in the potato. 2. 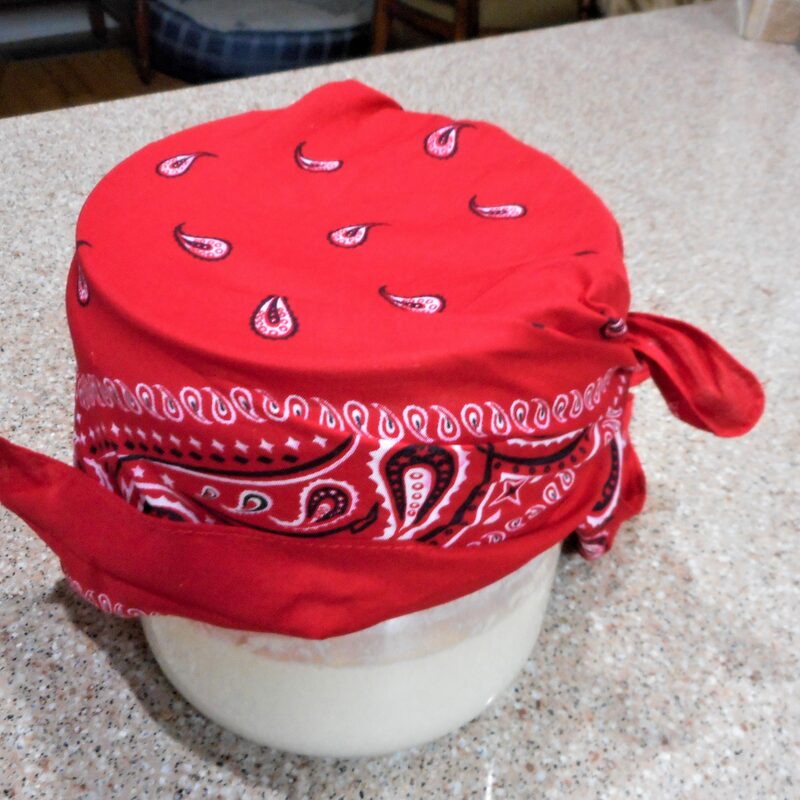 Cover the crock with a thin dish towel or bandanna and leave on the counter top. The starter needs to sit at 70° or warmer. 3. After 6 hours give the starter a good stir. It will be ready to use in 24 hours. 4. For every 3 cups of starter used replace it with 1 1/2 cups each of flour and warm water, along with 2 Tbsp. of sugar.